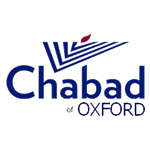 Oxford Chabad Society hosts each week a delicious Shabbat diner with all the traditional foods, open to students, community and visitors, in a warm and stimulating atmosphere. Shabbat dinners are proceeded by Kabbalat Shabbat services at 7:30pm followed by dinner at 8pm. For more details please email info@oxfordchabad.org or call 07772 079 940.